Chicago's Magnificent Mile relishes in its reputation as the Midwest's answer to Los Angeles' Rodeo Drive or New York's 5th Avenue. But there's plenty more to Chicago beyond the glitz and glam once you head into the neighborhoods that make up the city's real flavor. From the proud and out residents of Boystown/Lakeview to the charm of ethnic neighborhoods like Bronzeville, Chinatown and Pilsen, these communities add depth to Chicago and are worth exploring. Andersonville was dubbed as such when Swedish immigrant farmers migrated to the area in the mid-1850s. They built a strong foundation of businesses, residences, and cultural and religious institutions that left an impact for generations to come. The annual Midsommarfest event has been going on since the mid-1960s and keeps the Swedish culture alive. There is also the Swedish American Museum. But in the last 10 to 15 years, Andersonville has experienced a significant spurt of growth and diversity. It's attracted a large LGBTQ community, many of whom left Lakeview in search of a quieter neighborhood. It also boasts other ethnic groups, who have opened many thriving businesses in the area. Some may be explored during an ethnic food tour to Andersonville. And while the visitor will find several trend-focused restaurants, cocktail lounges and independent boutiques, the majority of establishments are quaint, family-friendly and cozy. Andersonville is approximately 23 minutes from downtown Chicago hotels, and parking is challenging. Adjacent to Lincoln Park, Chicago's Lakeview neighborhood is located on the North Side and is considered one of the country's most prominent gay communities. It's been the center of LGBT life for decades and is where the heart of the city's Chicago Gay Pride parade and related festivals occur in June. Lakeview East comprises the blocks nearest the lake and includes bustling commercial strips like North Broadway and North Halsted. You'll find dozens of gay- and lesbian-focused shops, restaurants, bars and other businesses throughout the neighborhood, which is bound by Diversey Avenue, Halsted Street, Grace Street and Lake Michigan. Among the many dining establishments and entertainment venues along this stretch, check out Angelina Ristorante, Athenaeum Theatre, Bar Pastoral, Elixir Lounge, Kit Kat Lounge & Supper Club and Sidetrack. Chicago’s Chinatown may be smaller in stature than New York’s or San Francisco’s, but it is certainly is not short on culture. Before you head over to the significantly historic area that’s been around for more than 100 years and only a stone’s throw from White Sox Guaranteed Rate Field, here’s what you need to know. Chicago's current Chinatown dates back to 1912 when a community of Chinese immigrants were uprooted due to construction in the South Loop. They relocated to an area near Wentworth Avenue and Cermak, which remains the center of the community today. Chinatown now boasts the five-acre Ping Tom park, a shopping center, and new housing where the railyards once stood. It's approximately 10 minutes south of downtown. The Gold Coast is considered one of Chicago's most prominent and wealthiest neighborhoods, and one of its earliest settlers was Potter Palmer, who co-founded the iconic Marshall Field's Department Store and built the Palmer House. Its status grew rapidly following the Great Chicago Fire of 1871, as Potter started developing land throughout the area. Throughout its history, the neighborhood has counted a host of noteworthy people as residents, from Joseph Medill, founder of the Chicago Tribune and a mayor of Chicago, to current Bulls superstar Dwyane Wade and his famous actress wife, Gabrielle Union. In addition to the Gold Coast's high-profile residents, it boasts a number of luxury hotels, designer boutiques/retail stores and glamorous restaurants and bars. Official boundaries for the Gold Coast are from North Avenue to Oak Street to the south, and from Lake Michigan to Clark Street to the west. Former President Obama's home is located in Hyde Park. So is the esteemed University of Chicago as well as the Museum of Science and Industry. And in 1893, the World's Columbian Exposition was held here. What's great about this South Side neighborhood, located just west of Lake Michigan and 15 minutes from downtown, is that it's diverse in many ways, from the racial makeup to socio-economic factors. Businesses reflect that diversity, and there's a colorful selection of galleries, restaurants and quirky shops like Mankind. Just south of Hyde Park is Stony Island Arts Bank, which has been completely restored and now holds long-forgotten treasures, films and artwork from up-and-coming artists. One of the city's biggest attractions, Lincoln Park Zoo is located in Lincoln Park. It's a ritzy neighborhood boasting many movers and shakers as its residents as well as cultural landmarks such as Steppenwolf Theatre Co. and Peggy Notebaert Nature Museum. Lincoln Park is a family-friendly neighborhood that's great for cycling and walking, and it's approximately 10 minutes from downtown. Local and national shops, plus highly rated restaurants like three Michelin star Alinea as well as Naoki Sushi and Oyster Bah, help keep the neighborhood on a national radar. Lincoln Park is also home to VIP's Gentlemen's Club, the only adult cabaret within city limits with a liquor license. A trip to Lincoln Park is not complete without visiting Wiener's Circle for charred dogs garnished with insults hurled by the staffers. Lincoln Square, located about 30 minutes north of downtown, was once known as the community where German immigrants flocked. Now, the population has changed dramatically, yet the neighborhood is just as charming and historic as ever. A quick stroll through its pulse down Lincoln Avenue showcases Victorian-style homes mixing well with those of the contemporary variety. Lincoln Square is also home of the last work by famous Chicago architect Louis Sullivan, known for designing the Auditorium Theatre. Sullivan's Krause Music Store building has been recently renovated and brought back to its original glory. There's a great collection of restaurants, small boutiques and bars in the area. Named after Civil War hero and politician Gen. John A. Logan, this now bustling Near West Side neighborhood was first settled in the mid-1800s. Chicago's Logan Square has certainly come a long way since those pioneering days, offering one of the city's most exciting and diverse neighborhoods for culinary adventures and more. While restaurants and cocktail bars are a large part of the attraction to Logan Square--starting with early adapter of the farm-to-table movement Lula Cafe in 1999--there's so much more. Additional destinations include a number of slick boutiques and thrift stores, antique shops and live-music lounges. Street parking in Logan Square is much easier than downtown and in neighborhoods like Lincoln Park and River North. It is about a 10-minute drive or 15-minute train ride to/from downtown hotels. This predominantly Mexican neighborhood got a taste of regentrification several years ago when a steady stream of trendy new restaurants and condominiums popped up. Thankfully that didn't disrupt the authentic flavor of the area, which is filled with taquerias, bakeries, galleries, food stands, traditional Mexican restaurants and more. One of our favorites is Sugar Shack, famous for a funnel cake sundae made with vanilla soft serve, choice of toppings and a cherry on top. The National Museum of Mexican Art, the first Mexican cultural center/museum in the Midwest and the largest in the nation, is also in Pilsen. The neighborhood, which is only five minutes south of downtown, is on the National Register of Historic Places. Located on Chicago’s affluent Near North Side--just north of the Chicago River--the River North business and residential area has come a long way from its shady beginnings as a notorious red light district. Now home to some of the city’s trendiest art galleries, hotels, bars and restaurants, it attracts well-heeled locals and visitors alike. It’s also home to several well-known landmarks, including the Merchandise Mart, which once belonged to the Kennedy family. What's old is new again as the South Loop finds itself in the midst of a rebirth as one of Chicago's most desirable places to live and explore. The diverse neighborhood--which boasts the Chicago Museum Campus, two-starred Michelin restaurant Acadia and the Auditorium Theatre of Roosevelt University--was one of the city's first residential districts before the Great Chicago Fire of 1871. The majority of the hotels in the area are situated along Michigan Avenue, which is walk-able to most destinations and attractions, including the Art Institute, Chicago Symphony Center, Grant Park and a host of restaurants. Street parking is challenging, but there are plenty of parking lots to accommodate vehicles. Public transportation is very accessible. 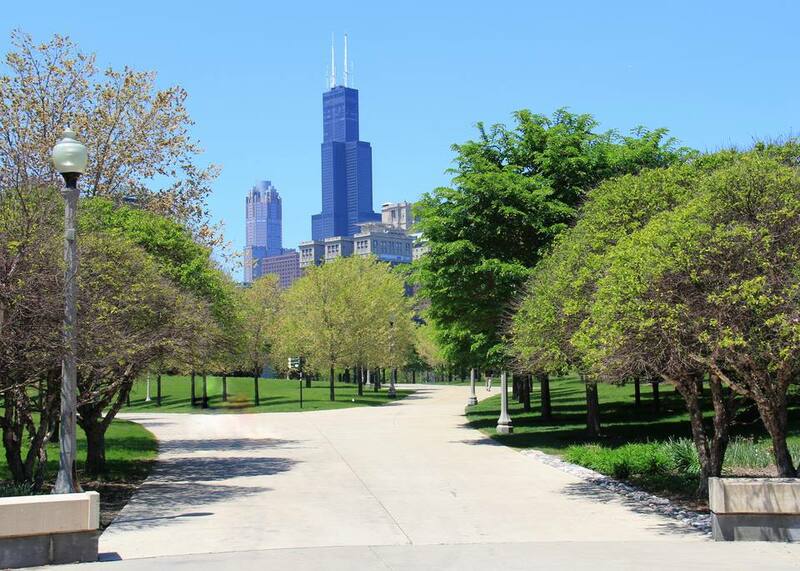 The South Loop neighborhood encompasses the historic Prairie District, Printers' Row and Central Station. The West Loop is comprised of the Fulton Market District, Randolph Street Restaurant Row, River West and an actual pocket called the West Loop. The neighborhood's also home to some of the city's most revered art galleries and nation's hottest chefs, such as Grant Achatz, Stephanie Izard, Paul Kahan, Curtis Duffy, Sarah Grueneberg and Bill Kim. No matter what anyone says, Wicker Park will always be one of Chicago's top destinations for dining, drinking and shopping. While a good number of restaurants and bars caters to a young and trendy clientele, there is definitely something for everyone. For example, Dove's Luncheonette is very family friendly, and the award-winning The Violet Hour is credited with pioneering Chicago’s current mixology scene. Come summertime, Wicker Park is especially lively with street festivals, impromptu parties, gallery walks and more. The neighborhood is approximately 10 minutes west of downtown. This bustling North Side neighborhood was red hot long before the Cubs baseball team won the World Series in 2016. While Wrigley Field is the heart of Wrigleyville, the neighborhood jumps with energy in off-baseball season. The main Clark Street strip is where much of the action takes place, from live-music performances at the Cubby Bear and Metro to grabbing late-night eats at Wrigleyville Dogs. Plans are underway for Hotel Zachary, a seven-story, 175-room hotel across the street from Wrigley Field. Projected to open in early 2018, it will include several high-profile restaurants by local outfits, a full-service bank and an urban park setting. The Wrigley Field Plaza should also be a hub of activity in the neighborhood now that it's debuted in front of the baseball stadium. It is set to host a number of family-friendly events, including weekly farmers' markets from Green City Market, movies, food festivals and live music.